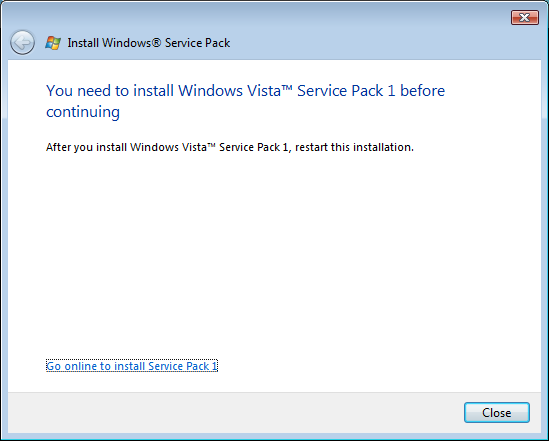 a customer had the problem that he couldn’t install the Windows Vista Service Pack 2 on his Laptop. Service Pack 1 seems to be installed, but the Service Pack 2 Setup says it isn’t. I processed a query by using the WMI Command line tool and filtered for Service pack 1 (Hotfixnumber KB936330). But in the list of installed hotfixes KB936330 is not listed. 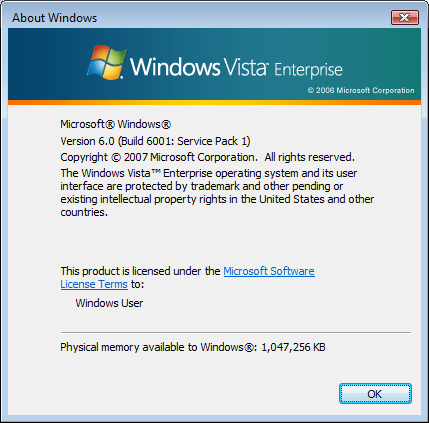 WinVer.exe reports a Vista with Service Pack 1 installed.